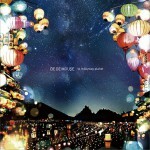 De De Mouse is the brainchild of bespectacled Tokyo-based studio boffin Daisuke Endo. Following the lead of "chiptune" pioneers (and fellow Tokyoites) YMCK, De De Mouse's sound is characterized by feather-light vocals, housey beats, infectious synth melodies, and lush production values. Unlike his near-contemporaries YMCK -- De De Mouse began life in 2005, two years after YMCK debuted -- Endo does not base his entire oeuvre on soundtracks to games made for the eight-bit NES console. Instead, Endo's layered grooves often take on a darker, more abstract bent that incorporates drum'n'bass and ambient. De De Mouse has won fans in Tokyo's music and fashion scenes: as well as sharing live bills with the likes of Halfby and Buffalo Daughter, he has also soundtracked fashion shows by Takayuki Suzuki, the costume designer of choice of J-pop stars such as Mika Nakajima. De De Mouse's debut album, 2007's Tide of Stars, was the first release on ExT Recordings, a new incarnation of the electronica label Transonic run by Kazuo Nagata (best known for his ambient music label Zero Gravity). 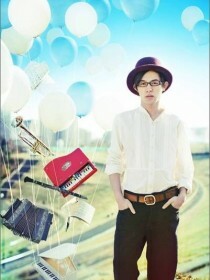 The same year also saw the release of the mini-album East End Girl. De De Mouse reportedly found fans in J-pop singers Kaela Kimura and Hito Mitoi, who were, perhaps, most drawn to the startling female vocals that sound like they have been vocoder-treated but are actually samples of the Mongolian form of throat singing known as Khoomii. 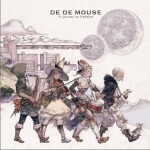 With second album Sunset Girls (2008), De De Mouse found a new home on the Avex Trax label. The album included remixes by respected house producer Shinichi Osawa and Toronto-based electro-pop artist I Am Robot and Proud. 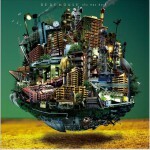 Also in 2008, De De Mouse hooked up with those retro fetishists (and new labelmates) YMCK for the Down Town EP. The six-track album -- split equally between the two artists -- was made up of covers of songs by Japanese pop royalty: De De Mouse took on "Yumi Arai" and YMCK covered "Happy End," while both paid homage to Tatsuro Yamashita. De De Mouse also performed the Japanese nursery rhyme "Metropolitan Bijyutsukan."